Every year, it’s the same pathetic story: the East High students are clobbered by their arch-rivals West High in Heart to Heart, the United Heart Association’s annual Valentine’s Day fundraiser. But the East High fundraisers are sick of being disheartened, and this year Sharpay and the gang have vowed to beat West High for change! Everybody’s working overtime to snag the win on Valentine’s Day… but some young lovers are worried that romance could get lost in the charity race. 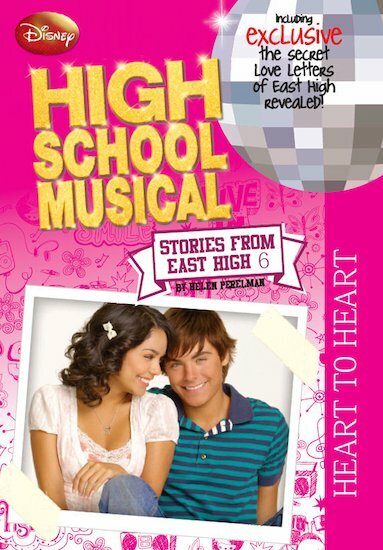 And when things go head to head between Troy and Gabriella, it’s time for their own heart to heart. Can they sing in harmony again – or will everything end up all out of tune? BEST BOOK EVER I GIVE IT 5 THUMBS UP!!!!!!!!!!!!!!!!!!!!!!!!!!!!!!! !